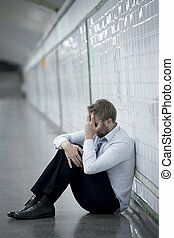 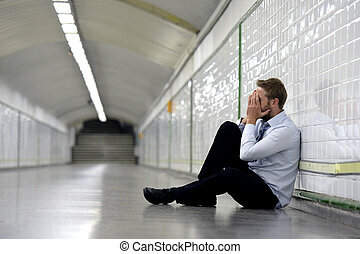 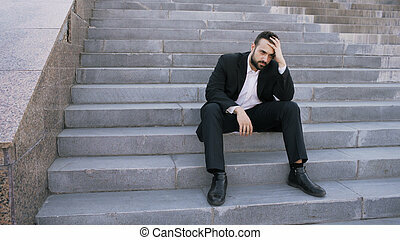 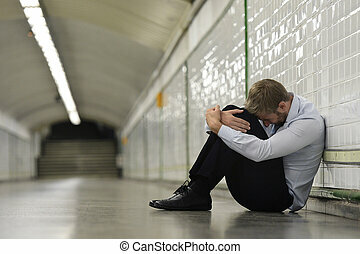 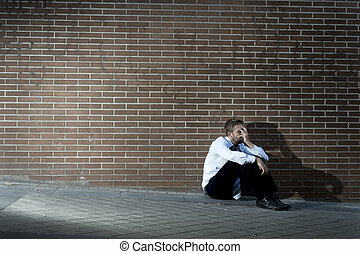 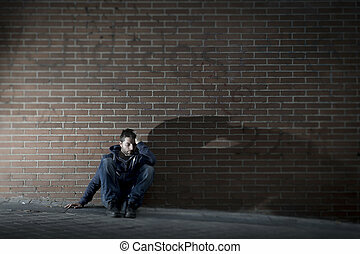 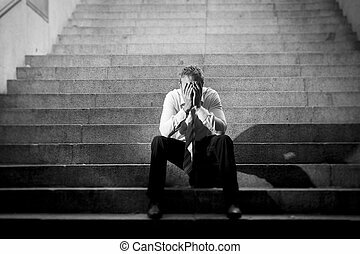 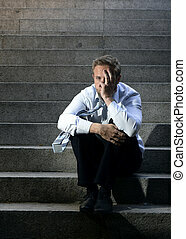 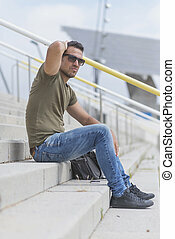 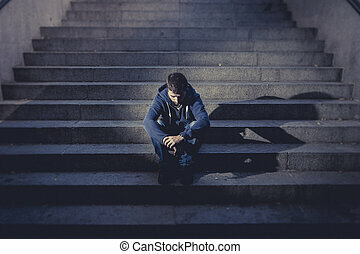 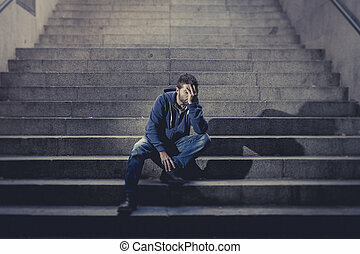 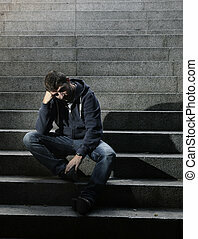 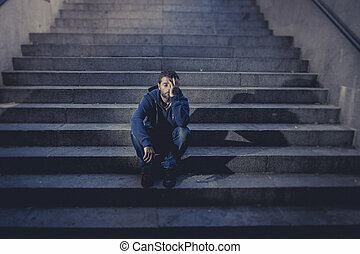 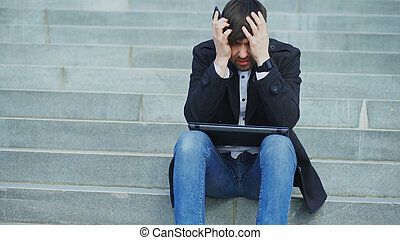 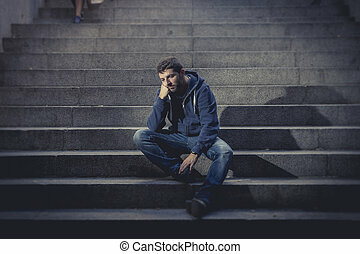 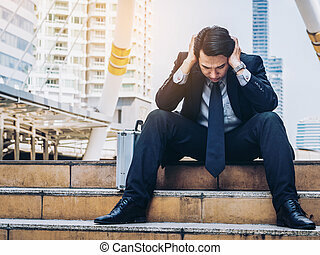 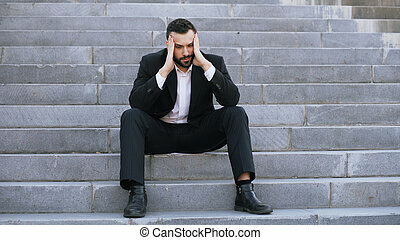 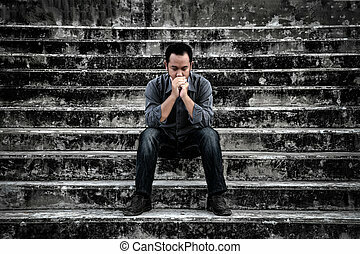 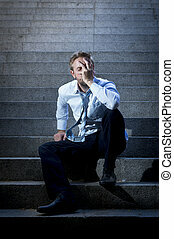 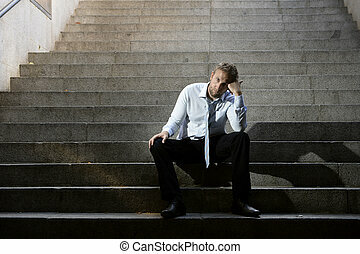 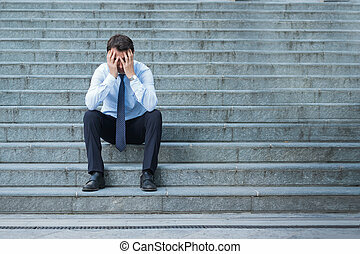 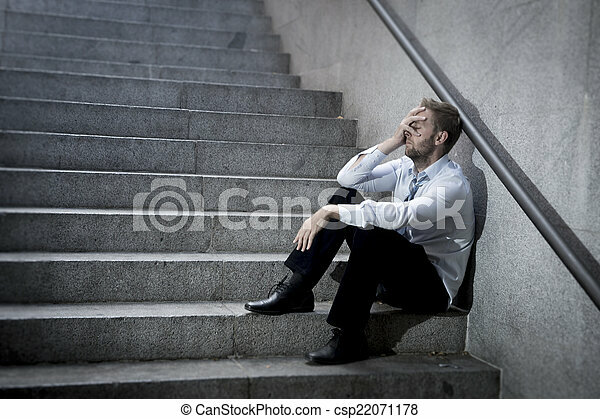 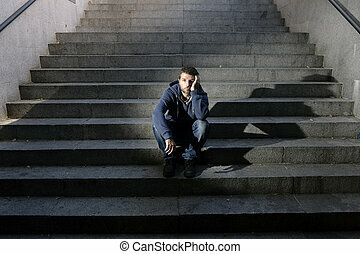 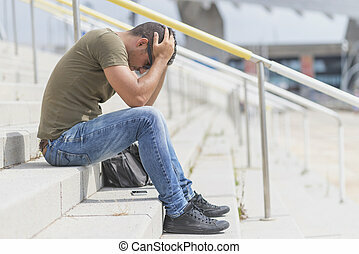 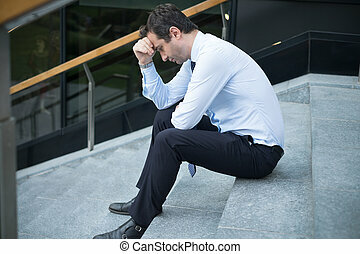 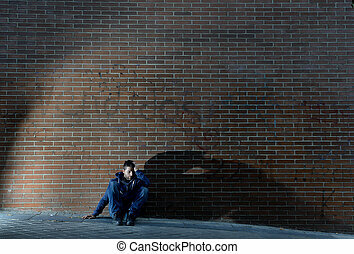 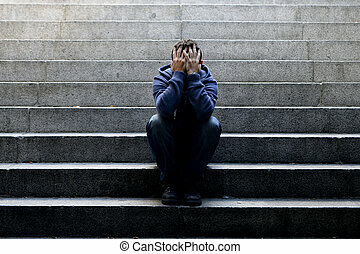 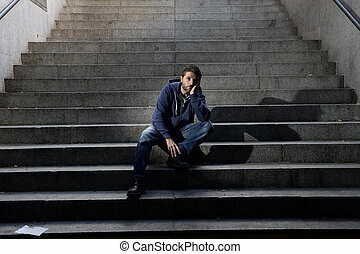 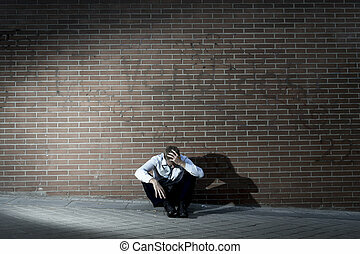 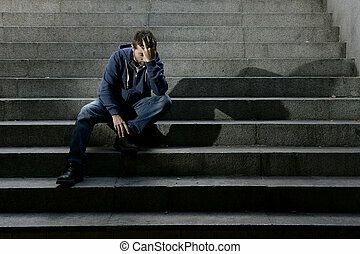 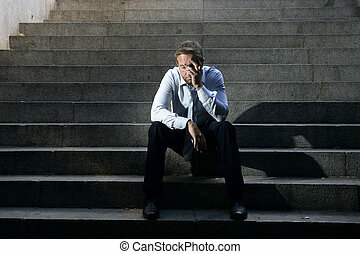 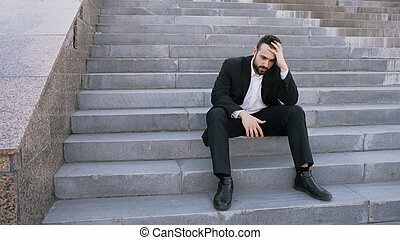 Businessman in frustrated depression sitting on the stairs, in scary abandoned building. 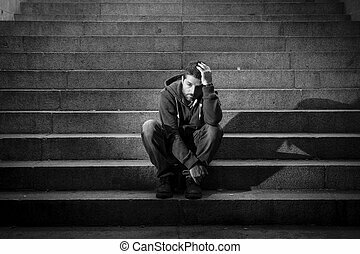 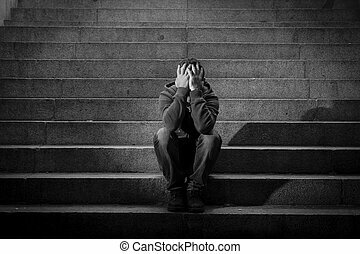 The concept of unemployed, sadness, depressed and human problems in dark tone. 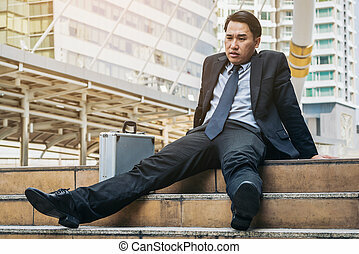 Desperate businessman sitting hopelessly on stair floor in central business district. 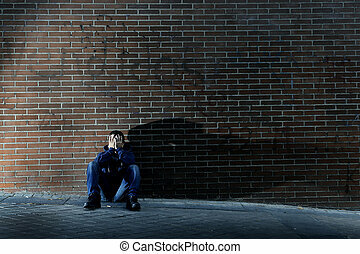 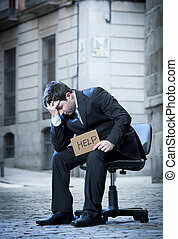 Concept of business failure, desperation, unemployment in businesses, business depression. 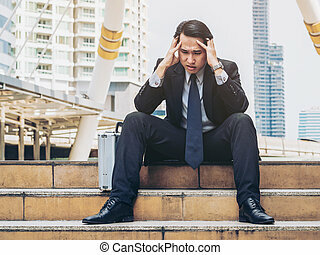 Lost businessman fired. 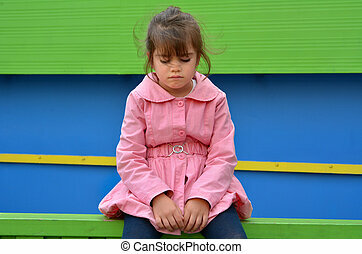 Lost child (girl age 6) lost in a city street cries on a fence. 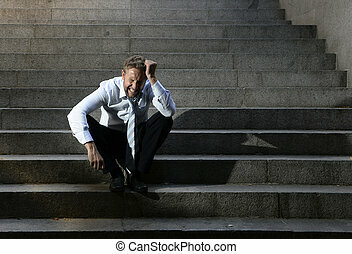 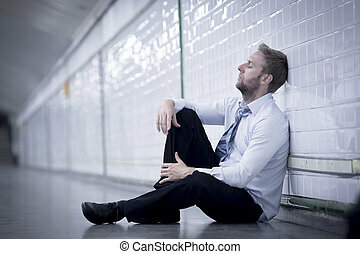 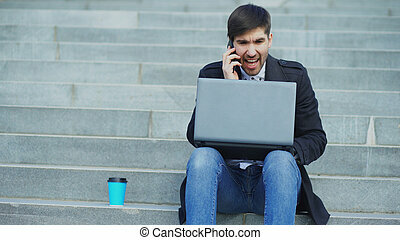 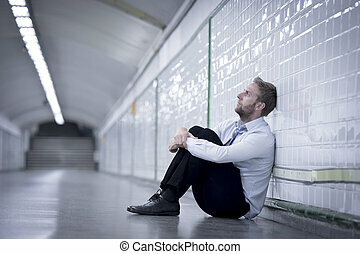 Desperate businessman sitting hopelessly on stair floor in central business district due to unemployment. 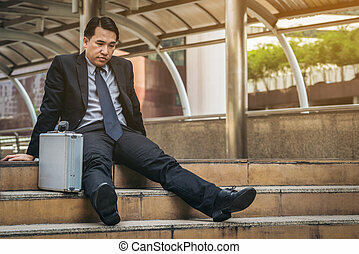 Concept of failure, desperation, unemployment and business depression.